Checking in on the 20-year-old 10-piece that regularly rocks Saratoga. 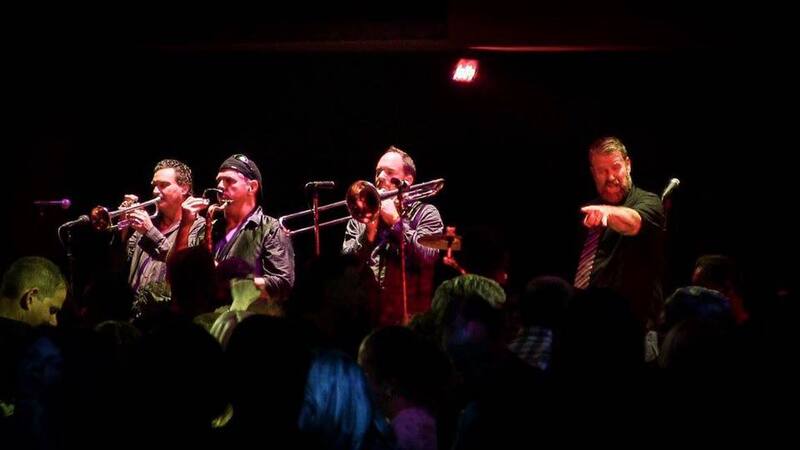 Dave Cerrone, lead trumpet player and band manager of one of the Capital Region’s longest-running bands, the Refrigerators, was still recovering from a life-threatening case of encephalitis when he returned to band practice last year. “To be honest, I was still doing a lot of mental mending, so I don’t remember the exact date,” he tells me. What he does remember is that he was feeling less than confident when he showed up, despite cheers and hugs from his bandmates. He had already spent nearly a year recovering from the malady, and he still couldn’t remember a lot of things. “I wasn’t sure if music parts would come back,” says Cerrone. Soon enough, he and his bandmates geared up to run through Chicago’s “Does Anybody Know What Time It Is,” and Dave took a deep breath: The tune opens with a trumpet solo. “It came right out!” he told me excitedly. Despite losing a lot of memories, Dave somehow remembered every lyric and trumpet part from the Refrigerators’ repertoire, a list that includes over 100 pop, funk and rock and roll hits. For more than 20 years, Cerrone has cherished his role as the Refrigerators’ over-committed and fun-loving leader. He founded the band in his mother’s basement in Albany in 1992, after he put an ad in the paper looking for horn players and ended up with a septet. The Refrigerators family has seen a lot of change over the course of 25 years. They went from playing in dive bars for beer to sharing bills with the Village People, the Average White Band, 98 Degrees and Sugar Ray. They’ve also been a mainstay on Saratoga’s nightlife and party scene: They play at everything from weddings to charity events to the Vapor Nightclub.